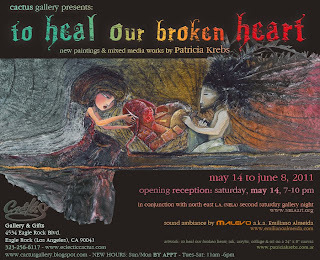 Cactus Gallery is proud to present "To Heal Our Broken Heart," a solo exhibition by multimedia artist Patricia Krebs. For "To Heal Our Broken Heart" - her fourth solo show at Cactus - Krebs created a series of over 30 2 & 3-dimensional pieces reflecting on our power to hurt and heal ourselves, each other, and the world. Krebs' whimsical characters narrate stories of passion and heartache, and are born from combining a traditional technique with playful experimentation with materials and found objects. The results are a visual contrast that strengthens the dialogue between her diverse characters, intensifying the emotional content of these evocative pieces. 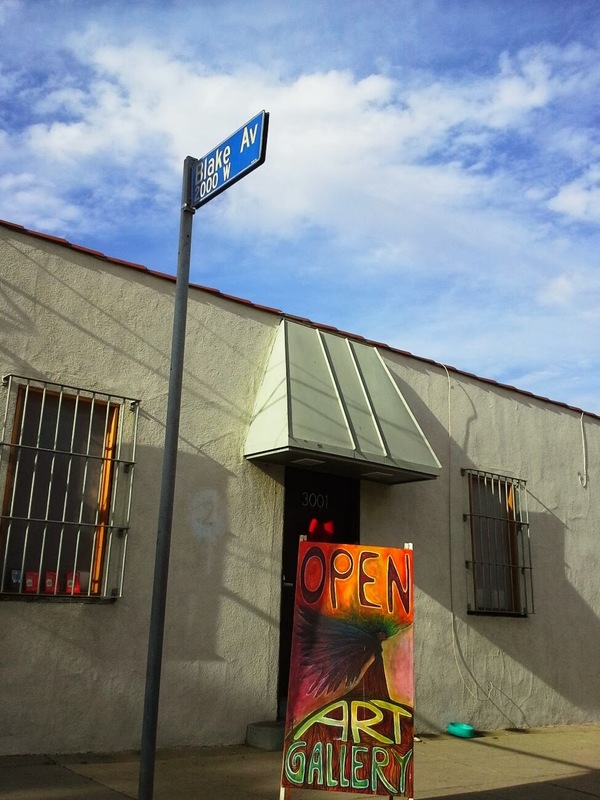 Contact Sandra Mastroianni @ semastroianni70@yahoo.com or 323.256.6117 for purchase info.